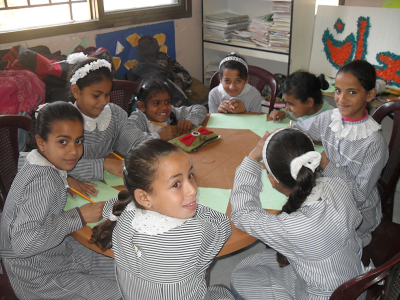 The Centre has been working in the Gaza Strip since 2011 in partnership with a Palestinian Non-Governmental Organisation called the Canaan Institute which specialises in training, capacity-building and education at a community level. The Centre is working in Gaza because it is a society in crisis with a stagnant economy, soaring unemployment, rampant poverty and failing public utilities. It has been subjected to an Israeli blockade since 2007 which has resulted in severe shortages of food, medicines, fuel and other day-to-day necessities. Children are on the frontline of the conflict in Gaza. The NGO Defence for Children International has calculated that since 2000 1,033 children have been killed in the Gaza Strip. Many times that number suffer the effects of conflict related trauma manifested through bedwetting, apathy, fear, loss of appetite and difficulty concentrating in school. Overcrowding, fuel and food shortages, lack of housing and a polluted water supply have all severely impacted on the wellbeing of children. They are also denied a proper education as an inadequate number of school buildings mean that 90 percent of children attend school for half a day. Gaza’s young people urgently need your support and the Centre for Global Education is hoping that you may agree to contribute to two important projects we are supporting in Gaza this year. The Centre is supplementing the education of 450 young people between 7 and 12 years by supporting three community centres to deliver additional classes to children in the morning or afternoon when they are not at school. Children with particularly acute learning problems will be enrolled on the project and will benefit from a range of learning, play and counselling activities delivered by the centres’ staff. The activities will strengthen knowledge, skills and confidence in the areas of literacy, numeracy, talking and listening ensuring that every child in the programme reaches the required learning standards stipulated in the schools’ curriculum. The project will also ensure that children are in a safe and structured play environment when they are not at school. The other direct project beneficiaries will be 12 staff members working in the three centres participating in the project. They will receive training in active learning methodologies, facilitation skills, attitudes, values and knowledge consistent with the good education practice promoted by CGE and the Canaan Institute. 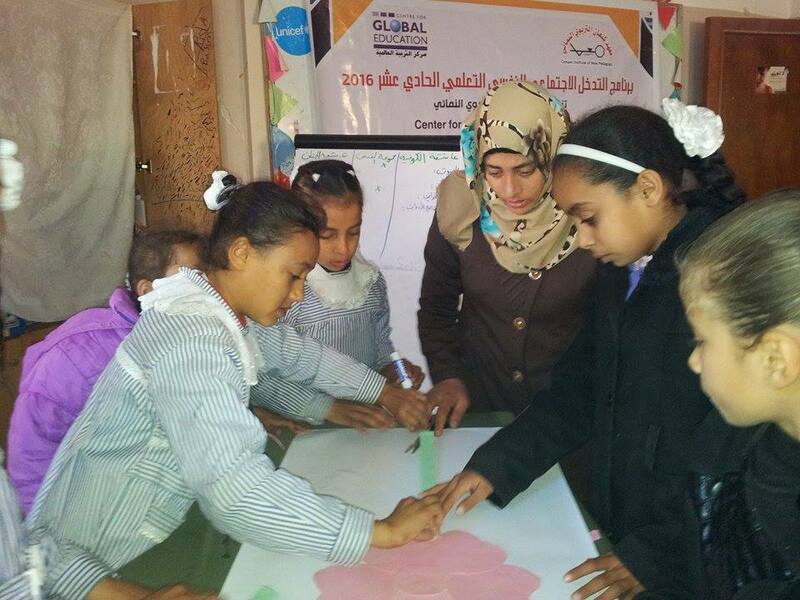 This project will provide therapeutic learning to young people through education services in three marginalised communities in the Gaza Strip. 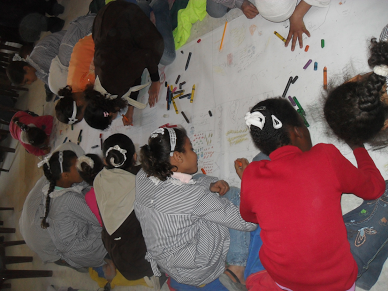 The children selected for the programme are experiencing acute forms of psychological distress and trauma as a result of the ongoing conflict in Gaza. Through carefully facilitated educational activities and the involvement of psychological specialists, the children enrolled in the project will have access to therapeutic learning for a period of five months in 2014 and 2015. Structured activities with the children’s families will support them in extending psycho-social support into the household and embed the learning received from the project partners. The project outcomes will include: alleviated symptoms of stress for young people; improved performance in school; greater family confidence in dealing with the effects of trauma; and strengthened capacity for the community centre in each locality to deliver therapeutic learning. If you are in a position to support these important causes then please send a donation, large or small, to the Centre for Global Education. Donate by cash by calling into the Centre for Global Education between 9.00am and 5.00pm, Monday to Friday at 9 University Street, Belfast, BT7 1FY. A full report on the projects will be circulated via the Centre’s web site and Facebook page. Thank you in advance for your support of these two important causes. Centre for Global Education is a registered charity (number XR73713) and company limited by guarantee (NI025290).